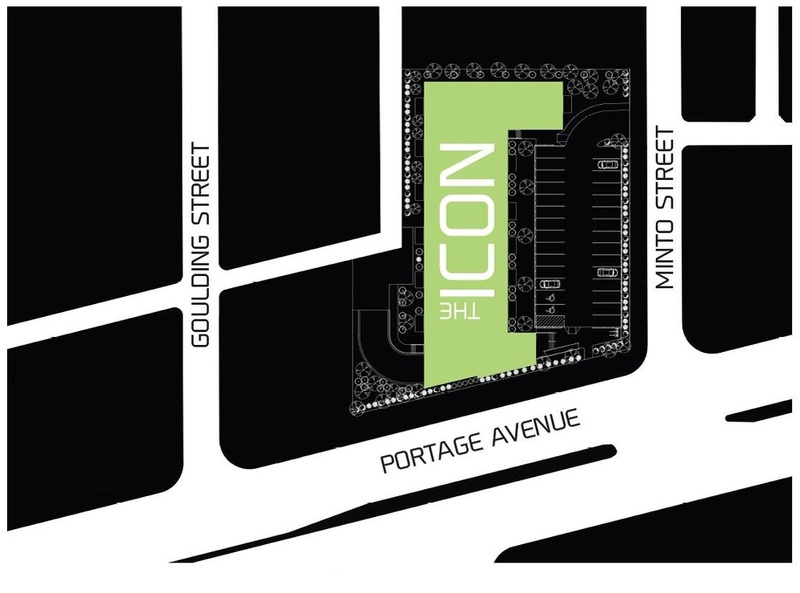 Join the transformation of a historic West End Community location by purchasing a condo at The Icon on Portage. The Icon condominiums are located at 1133 Portage Avenue – the site of the iconic Palomino Club. This exceptional West End location is situated on the edge of Wolseley, in close proximity to West Broadway and minutes from downtown and Polo Park providing future residents access to these fabulous areas by foot, bike, bus or car. Immediate Possession Available! This project consists of 60 extremely affordable condo units spread across four floors with indoor and outdoor parking. Eight of the sixty units have been designed as adaptable suites for accessibility and aging-in-place. Location, Location, Location! This ideal location is complemented by exceptional craftsmanship and luxury finishes built right into the price of every unit, providing buyers with an outstanding value. Purchasers can choose from 8 affordable suite layouts which include one, two and three bedroom units. With every unit, home owners will enjoy spacious 9 foot ceilings, modern contemporary finishes, balconies, and energy efficient building systems. This is an exciting condominium building as it was designed to meet the needs of a wide range of Winnipeg residents from locals that want to stay in the area, to residents that want to live close to work, education or entertainment in downtown Winnipeg. Other conveniences in close proximity to this condominium project include grocery stores, health care professionals, pharmacies, coffee shops, liquor marts, retail malls, parks and recreation facilities providing residents with all the necessities within a short distance of their home. "The West End BIZ is very effective, with lots of streetscaping and improvements that have been made, so I think it’s an up-and-coming area"
The West End is historically diverse and centrally located community that has over 36,000 residents. Built in the early 20th century, the West End was designed as a mixed-use community with residential and commercial properties built in close proximity to one another. It has over 21 Parks, 108 Restaurants, recreational facilities and in excess of 1,000 Businesses. This community is what urban experts world-wide now favor - mixed-use neighborhoods with accessibility and convenience. Even better, this neighborhood is walkable, bicycle friendly, transit orientated and car friendly. It has a little bit of everything to offer its residents – close proximity to downtown Winnipeg, Wolseley, West Broadway, University of Winnipeg, Health Sciences Center, West End Cultural Center, Fitness and Recreation Facilities and more. Everything you need is within easy walking distance from everyday basic needs to activities. The West End makes up 5.25% of the city’s population. The West End’s population is younger than the Winnipeg average. There is a larger proportion of people between the ages of 20 and 44 than the city-wide average. House prices in the West End increased by 141% between 2006 and 2013. Real household income has risen on average by 3% more than the city wide average. The proportion of people who walk or bike to work is double the Winnipeg average with less than half driving to work in a car. Disclaimer: Plans and Prices are subject to change without notice. The Builder reserves the right to change the material or specifications without notice, but guarantees that the change will be of equal or of similar value. Room dimensions are approximate. All illustrations are artist's concept and may vary. Drawings are not to scale.